On November 12th 1984, Steven Trotter made his first attempt to go over Niagara Falls in a barrel. It was an unsuccessful attempt since his barrel became hung up on rocks upriver of the brink of the Falls. Trotter was in a barrel called “the Rig” which cost Trotter $6,200 to build. He was then fined $500 in Niagara Falls Ontario Provincial Court. During the summer of 1985 Trotter came to try to conquer the Falls. He brought a contraption made of two plastic pickle barrels, and surrounded by large rubber inner tubes and covered by a tarpaulin. On August 18th 1985, Trotter began his journey from a location just upstream from the Horseshoe Falls. The barrel was quickly toward the crest of the Falls. Steven Trotter had survived the plunge uninjured. He became the youngest person, aged 22, to ever survive the plunge in a barrel. Trotter had received a short lived notoriety and appeared on several national television talk shows. Steven Trotter returned to Niagara Falls in the summer of 1995, this was the tenth anniversary of his initial conquest. At the age of 32, Trotter wanted to challenge the Falls for a second time. On this occasion he brought his girlfriend Lori Martin, age 29, to join him on the journey. Trotter brought with him a newly constructed 3.7 m long barrel, made from two pieces of water heater tanks welded together by synthetic fibre. The barrel contained four oxygen tanks capable of providing air for one hour and twenty minutes. The barrel weighed 900 pounds and cost approximately $90,000. 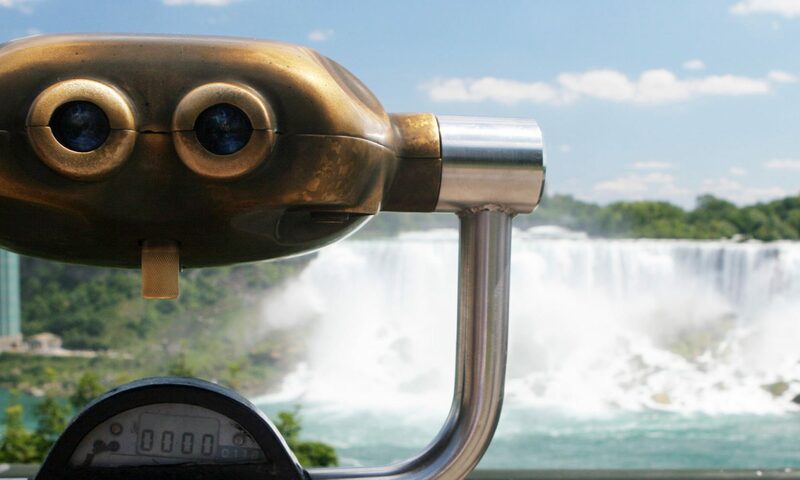 On June 18th 1995, the barrel was launched approximately 91 metres above the brink of the Horseshoe Falls along the shore of the Canadian side. The barrel went over the Falls but was caught in the rocks below. Emergency Services personnel were required to risk their own lives by climbing over the guard rail of observation tunnels under the Table Rock Pavilion to secure the barrel and pull Trotter and Martin to safety. Both were taken to the Greater Niagara General Hospital for treatment of minor bruises. Trotter and Martin were then arrested for their illegal stunt. The barrel remained in the water for nine days until it could be removed by a crane. Steven Trotter and Lori Martin became the second couple to journey over the Falls together in a barrel and survive (DeBernardi & Petkovich were the first in 1989).